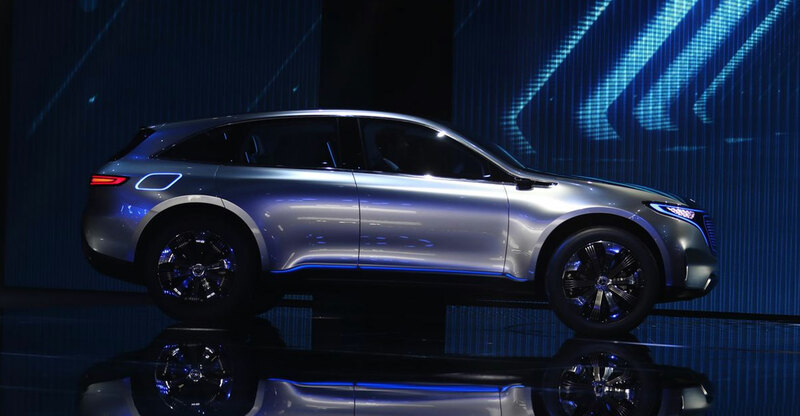 The Mercedes EQC crossover, which starts production in the first half of next year, is part of a plan to develop a range for its EQ electric line, Daimler CEO Dieter Zetsche told reporters in Stockholm before the car’s world premiere. The plan was to invest €10-billion on the project, but the spending has become “more than that”, he said on Tuesday, without specifying figures. The car joins the Porsche Taycan, Audi E-tron and Jaguar I-Pace in putting pressure on Tesla as the California-based car maker struggles to ramp up the Model 3 and make a profit. Mercedes plans to assemble the EQC at its factory in Bremen, where it also makes its best-selling C-Class sedan. Daimler will build the car in China for the local market. Including the Smart brand, which will abandon combustion engines in coming years, Daimler plans to offer 10 fully electric cars by 2022. To underscore the shift, Mercedes will spend €1-billion on battery production to create a network of eight facilities globally. Mercedes and other luxury brands are pushing aggressively into electric cars to challenge Tesla after its success in wooing wealthy buyers with the Model S. Daimler expects demand for battery-powered vehicles to eat into sales of more profitable conventional cars rather than lure new customers, Zetsche said on Tuesday. In addition to responding to shifting consumer tastes, electric models are critical to meeting increasingly stringent emissions standards. Some countries like the UK and France are even planning to ban combustion engines in the coming decades. Previous ArticleTechCentral’s top 5 podcasts in August – what did you miss?